Where technological change means obsolescence is a daily fact of life, it’s crucial that the introduction of new products & phase-out of redundant stock is carefully co-ordinated to ensure consistent & continued profitability. As Marketing Manager and Marketing Director of the brand-leading UK MEM 250v accessories and switchgear business, Communisage’s founder, Mike Cowburn and the marketing team he led collaborated with fellow stakeholders to double the company’s product portfolio, bringing to market major new product ranges & retiring obsolete lines. The lifecycle management process involved a significant level of complexity in monitoring performance, forward strategic planning, new product development and controlled product launches to optimise the impact on trading, inventory levels, manufacturing, the distribution channel and profitability. 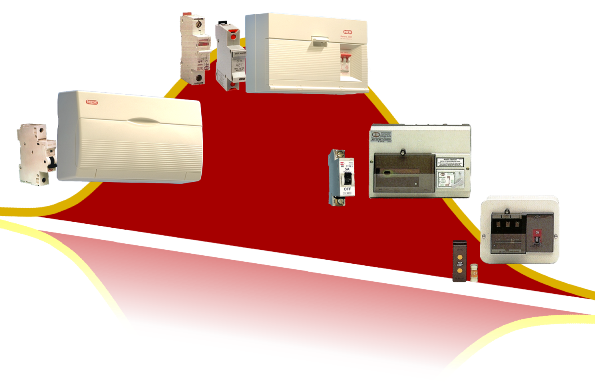 – Launching 2 new consumer unit ranges & managing extinction of 3 obsolete ranges via £3m capex. – Incremental sales of £1000k pa were realised in 4 years & cost improvements of £1500k pa.
– Launch of a £4m capex development of miniature circuit breakers including a new unique RCBO. – Sales worth £3m were successfully converted and contribution grown by £700k per annum. The impact on the business was profound. For this brand-leading circuit protection company, an existing £9m business was not only maintained but grown by a further £1.5 million. All the while defending its large market share from aggressive European players, improving profitability via product cost reduction and developing an international product capability.